What links these three sites: Moot Hill at Scone Palace, Westminster Abbey, and Edinburgh Castle? Any ideas? 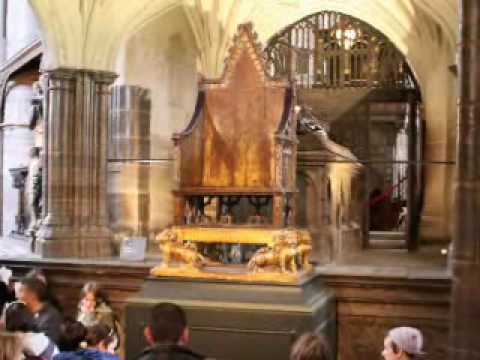 The answer is a slab of sandstone called the Stone of Destiny, upon which Scottish kings, and later, English then British monarchs, were crowned. The origins of the Stone are shrouded in myth and legend. The origin myth has it as the stone Jacob used as his pillow in the Old Testament story of Jacob's Ladder, the totem of the Scottish race, whose ancestors moved from Egypt to Spain then Ireland and Scotland, carrying the stone with them. I'm not sure how old this story is: it might be thirteenth or fourteenth century rather than from the Dark Ages. Quite a lot of history was invented in those days for political reasons. The story of a divine origin also has the flaw that geological analysis of the Stone has shown it to be very similar to outcrops near Scone Palace. It is very likely that the stone came not from the Middle East, but from Perthshire. What is not in doubt however is that the Stone, which had been used in the coronation of Scottish kings at Scone Palace, was removed to Westminster Abbey in 1296 (along with the Black Rood and the state records of Scotland which were subsequently lost) and incorporated into a wooden throne. My favourite part of the story of the stone came in 1950 when four Glasgow University students, led by Ian Hamilton, broke into Westminster Abbey and reappropriated the stone. Hamilton wrote a book about their exploits - The Taking of the Stone of Destiny - and is still alive and blogs today. Hamilton took the stone to highlight the beleagured nature of Scottish culture. It was subsequently left at Arbroath Abbey and returned to Westminster, in time for the coronation of the Queen. Hamilton was never prosecuted for his crime. 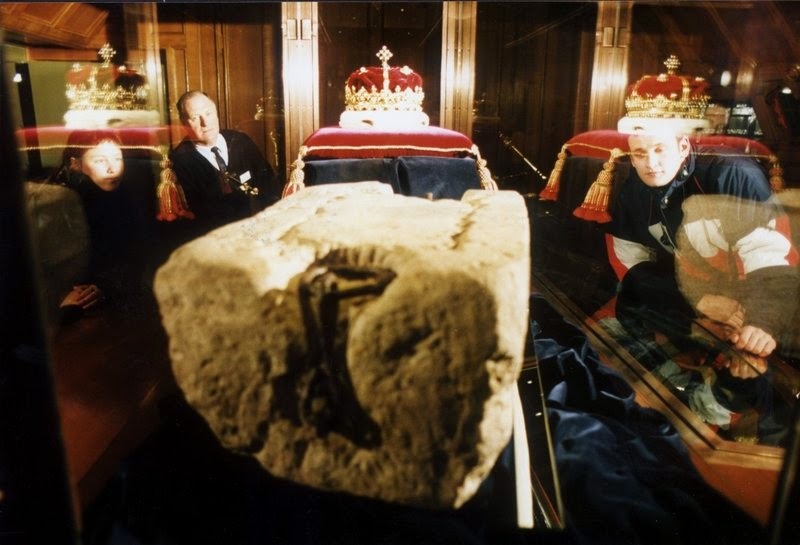 And although the Stone of Destiny is a Scottish shibboleth, it spent 654 years in England from Edward's 1296 theft to Hamilton's 1950 removal. 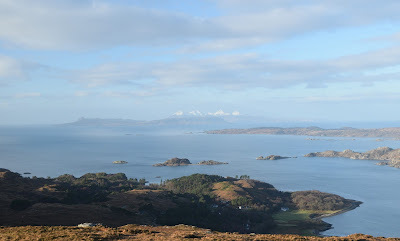 In contrast, it can have spent at most 453 years in Scotland, from Kenneth Macalpine's 843 ascent to the Pictish leadership, moving his base from Dalriada to Dunkeld, to 1296. It is as much part of English, and British, history, as it is of Scottish history. The best place to find out more about the various origin myths, and myths about the location of the real Stone, is in Pat Gerber's The Stone of Destiny.